Located in Fairhaven, Massachusetts, All Pro Quick Oil provides a great deal of professional automotive services to the local community. We have earned a solid reputation and have built a large customer base, due our top quality services and focus on customer service. Our services range from Automatic Touchless Car Wash to Signature Quick Oil changes, Extra Care Full Service car cleaning to maintenance and repair services, and everything in between. All Pro Quick Oil is part of Guard Enterprises, Inc., the biggest oil supplier from Providence to the Cape, offering residential home heating oil, commercial heating oil, marine oil and diesel delivery, commercial automotive fuels and lubricants, plus a whole lot more. One of the largest delivery companies in the local region, Guard Oil provides next day delivery service for residential and commercial clients, as well as consumer automotive services at our Fairhaven location. 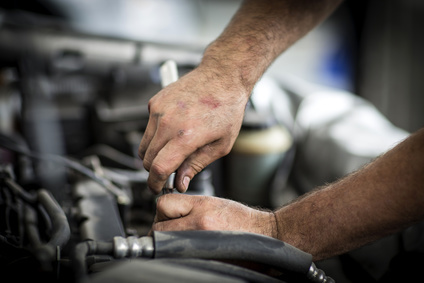 Our team of technicians provide comprehensive services in addition to our Signature Quick Oil Change, including a visual checklist to spot out and diagnose potential problems and suggest recommended manufacturer maintenance. The All Pro Quick Oil services include top quality Mobil 1 oil products. Keeping your vehicle clean is a big part of protecting your investment. Our Automatic Touchless Car Wash, do-it-yourself self serve vehicle washing bays, Extra Care Full Service premium package, and offering of top quality, name brand cleaning supplies and tools help your car to look its very best. Whether you need preventive maintenance or routine repairs, All Pro Quick Oil has the knowledge and experience to ensure that your vehicle is running as it should. From diagnostic services to full service repairs, replacements and installations, you can trust our team of mechanics and technicians.